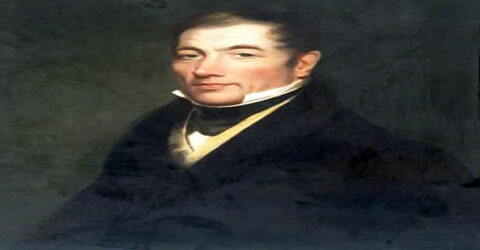 Robert Owen – Welsh textile manufacturer, philanthropic social reformer. 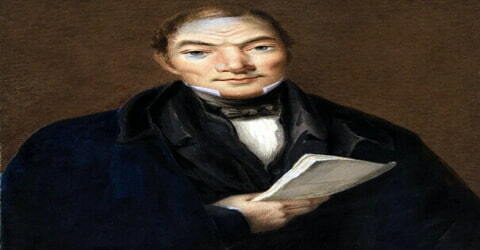 Robert Owen, Welsh manufacturer turned reformer, one of the most influential early 19th-century advocates of utopian socialism, was born in Newtown, a small market town in Montgomeryshire, Wales, on 14 May 1771, to Anne (Williams) and Robert Owen. Owen is best known for his efforts to improve the working conditions of his factory workers and his promotion of experimental socialistic communities. His New Lanark mills in Lanarkshire, Scotland, with their social and industrial welfare programs, became a place of pilgrimage for statesmen and social reformers. He also sponsored or encouraged many experimental “utopian” communities, including one in New Harmony, Indiana, U.S.
Owen was a successful textile mill owner who was as much concerned or maybe even more about the quality of life his employees and the community members led than the profits he made. From a young age, he was a bright boy who was good in studies and loved to read. He was forced to work in a textile mill from an early age and grew up observing the lifestyle of the working class. A hard-working and ambitious young man, he became a mill manager by the time he was 21. He became a member of the Manchester Literary and Philosophical Society and was greatly influenced by the ideals of the philosophers and reformers. In the early 1800s, Owen became wealthy as an investor and eventual manager of a large textile mill at New Lanark, Scotland. He initially trained as a draper in Stamford, Lincolnshire, and worked in London before relocating at the age of 18 to Manchester and going into business as a textile manufacturer. In 1824 Owen traveled to America, where he invested the bulk of his fortune in an experimental socialistic community at New Harmony, Indiana, the preliminary model for Owen’s utopian society. The experiment was short-lived, lasting about two years. Other Owenite utopian communities met a similar fate. Eventually, Owen became the manager and co-owner of the New Lanark mill, a highly successful mill in Glasgow. As the manager of such a large organization, he was determined to bring about an improvement in the quality of life of its employees. He implemented several revolutionary reforms which included the prohibition of child labor, provision of health care and education to the workers’ children, and creating a better society. He was an early proponent of social reforms for the working class and was considered an enlightened employer. In 1828 Owen returned to the United Kingdom and settled in London, where he continued to be an advocate for the working class. In addition to his leadership in the development of cooperatives and the trade union movement, he also supported passage of child labor laws and free, co-educational schools. 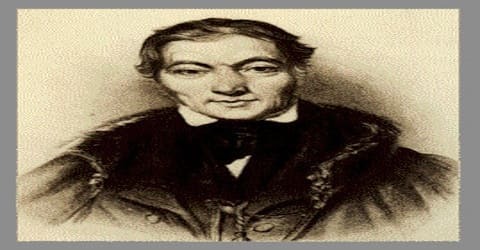 Robert Owen was born in Wales in the United Kingdom in 1771, as the sixth of seven children to a small businessman, also named Robert Owen. His mother was called Anne Williams. His father was a saddler, ironmonger, and local postmaster; his mother was the daughter of a Newtown farming family. Owen received little formal education, but Owen was an avid reader. He left school at the age of ten and was apprenticed to a Stamford, Lincolnshire, draper for four years. He also worked in London draper shops as a teenager. Around the age of eighteen, Owen moved to Manchester, where he spent the next twelve years of his life. Initially, he was employed at Satterfield’s Drapery in Saint Ann’s Square. As a young man, he became manager of a successful cotton mill. As he became more involved in manufacturing, he became appalled at the conditions of the factories, so he vowed to change them. Owen made use of the first American Sea Island cotton (a fine, long-staple fibre) ever imported into Britain and made improvements in the quality of the cotton spun. On becoming a manager and a partner in the Manchester firm, Owen induced his partners to purchase the New Lanark mills in Lanarkshire. By the early 1790s, Owen’s entrepreneurial spirit, management skills, and progressive moral views were emerging. In 1793, he was elected as a member of the Manchester Literary and Philosophical Society, where the ideas of reformers and philosophers of the Enlightenment were discussed. He also became a committee member of the Manchester Board of Health, which was instigated, principally by Thomas Percival, to promote improvements in the health and working conditions of factory workers. 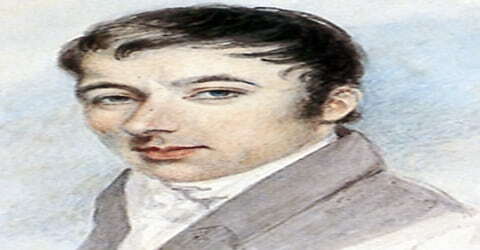 Robert Owen married Caroline Dale on 30 September 1799, the daughter of David Dale from whom he bought the New Lanark textile mills. Following their marriage, the Owens established their home in New Lanark but later moved to Braxfield, Scotland. Robert and Caroline Owen had eight children, the first of whom died in infancy. Their seven surviving children included four sons and three daughters: Robert Dale (1801–77), William (1802–42), Ann (or Anne) Caroline (1805–31), Jane Dale (1805–61), David Dale (1807–60), Richard Dale (1809–90) and Mary (1810–32). Owen’s four sons, Robert Dale, William, David Dale, and Richard, as well as his daughter, Jane Dale, followed their father to the United States, becoming U.S. citizens and permanent residents of New Harmony, Indiana. Owen’s wife, Caroline, and two of their daughters, Anne Caroline and Mary, remained in Britain, where they died in the 1830s. 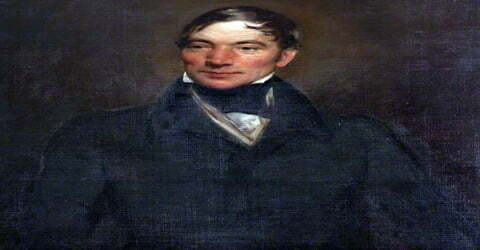 Robert Owen moved to Manchester and found employment at Satterfield’s Drapery. He was very efficient and displayed considerable managerial talents. He became a mill manager at the Chorlton Twist Mills by the time he was 21. In July 1799 Owen and his partners bought the New Lanark mill from David Dale, and Owen became the New Lanark mill’s manager in January 1800. Encouraged by his success in the management of cotton mills in Manchester, Owen hoped to conduct the New Lanark mill on higher principles than purely commercial ones. David Dale and Richard Arkwright had established the substantial mill at New Lanark in 1785. With its water power provided by the falls of the River Clyde, the cotton-spinning operation became one of Britain’s largest. There were 2,000 inhabitants of New Lanark, 500 of whom were young children from the poorhouses and charities of Edinburgh and Glasgow. The children, especially, had been well treated by the former proprietor, but their living conditions were harsh: crime and vice were bred by demoralizing conditions; education and sanitation were neglected, and housing conditions were intolerable. Owen improved the houses and mainly by his personal influence encouraged the people in habits of order, cleanliness, and thrift. He opened a store that sold sound-quality goods at little more than cost and strictly supervised the sale of alcoholic beverages. His greatest success was in the education of the young, to which he devoted special attention. Owen’s philosophy for social reform became known as Owenism, which claimed that businesses and society, in general, could be transformed for the better by utopian socialist ideals. Owen often called Britain’s first socialist, believed private property, wealth, social class, competition, and ignorance created social evils. But Owen believed these social evils could be eradicated – not through religion or through individual responsibility as many people of the time though, but through socialist ideals. As a utopian socialist, Owen believed that if a community shared everything and made communal decisions, they could create a utopia. Owen implemented many reforms in his factory premises, many of which required considerable financial investments. He sold his business to like-minded individuals, Jeremy Bentham, and William Allen in order to focus more on his philanthropy. He wanted to spread knowledge about the way children were treated in his factory so that others could also follow them. He wrote several books on education and social reforms including ‘The Formation of Character’ (1813) and ‘A New View of Society’ (1814). He wanted his ideas and plans to be implemented on a large scale and thus sent detailed proposals to Parliament about his notions on factory reforms in 1815. He appeared before Robert Peel and his House of Commons committee in April 1816. For the next few years, Owen’s work in New Lanark was to have a national as well as a European significance. New Lanark became a place of pilgrimage for social reformers, statesmen, and royal personages, and, according to the unanimous testimony of all who visited it, the results achieved by Owen were singularly good. Children brought up on his system were generally felt to be graceful, genial, and unconstrained; health, plenty, and relative contentment prevailed; and the business also was a commercial success. Owen’s greatest success was his support of youth education and early childcare. As a pioneer of infant care in Britain, especially Scotland, Owen provided an alternative to the “normal authoritarian approach to child education.” The manners of the children brought up under his system were beautifully graceful, genial and unconstrained; health, plenty, and contentment prevailed; drunkenness was almost unknown, and illegitimacy extremely rare. Owen’s relationship with the workers remained excellent, and all the operations of the mill proceeded with smoothness and regularity. Furthermore, the business was a commercial success. In 1815 Owen convened a meeting of manufacturers and successfully lobbied them to support the removal of import taxes on cotton. However, his proposal to reduce the number of hours that children could work in the mills was defeated. His agitation for factory reform met with little effect, and by 1817 his work as a practical reformer had given way to the still vital ideas that were to make him the forerunner of socialism and the cooperative movement. Owen argued that the competition of human labor with machinery was a permanent cause of distress and that the only effective remedy lay in the united action of men and the subordination of machinery to man. His proposals for the treatment of pauperism were based on those principles. Under his supervision, New Lanark gained international recognition for its social reforms. It had a creche for working mothers, free health care, education for children, evening classes for adults, among several other initiatives. There were arrangements for leisure activities also. Owen formed the Grand National Consolidated Trades Union in 1835 which was an early attempt to form a national union confederation in the United Kingdom. He served as the preliminary father of the organization. Owen recommended that villages of “unity and cooperation” be established for the unemployed. Each village would consist of about 1,200 persons on 1,000 to 1,500 acres (400 to 600 hectares), all living in one large structure built in the form of a square, with a public kitchen and mess-rooms. Each family would have its own private apartment and the entire care of their children until the age of three, after which they would be raised by the community. Parents would have access to them at meals and all other proper times. Owen believed that such communities could be established by individuals, by parishes, by counties, or by the state; in each case, there would be supervision by duly qualified persons. Work and the enjoyment of its results would be shared collectively. Many of Owen’s supporters believed that this action made him suspect to the upper classes, though he did not lose all support from them. To carry out his plan for the creation of self-contained communities, he bought 30,000 acres of land in Indiana from a religious community in 1825 and renamed it New Harmony. Life in the community generally was well ordered and contented under Owen’s practical guidance for a time, but differences in opinion about the form of government and the role of religion soon appeared, though a historical consensus exists that an admirable spirit prevailed amid the dissension. Owen withdrew from the community in 1828, having lost £40,000 80 percent of his fortune. The other chief Owenite community experiments were in Great Britain at Queenwood, Hampshire (1839–45), in which Owen took part for three years; at Orbiston, near Glasgow, Lanarkshire (1826–27); and at Ralahine, County Cork (1831–33). He was not directly involved with either of the latter two communities. Owen embraced socialism in 1817, a turning point in his life, and began making specific efforts to implement what he described as his “New View of Society.” Owen outlined his position in a report to the committee of the House of Commons regarding the country’s Poor Laws. His utopian model changed little during his lifetime. His fully developed model considered an association of 500 to 3,000 people as the optimum number for a good working community. While mainly agricultural, it would possess the best machinery, offer a variety of employment, and, as far as possible, be self-contained. Owen further explained that as the number of these communities increased, “unions of them federatively united shall be formed in a circle of tens, hundreds and thousands” linked in a common interest. In his “Report to the County of Lanark” (a body of landowners) in 1820, Owen declared that reform was not enough and that a transformation of the social order was required. His proposals for communities attracted the younger workers brought up under the factory system, and between 1820 and 1830 numerous societies were formed and journals organized to advocate his views. The growth of labor unionism and the emergence of a working-class point of view caused Owen’s doctrines to be accepted as an expression of the workers’ aspirations, and, when he returned to England from New Harmony, he found himself regarded as their leader. In the unions, Owenism stimulated the formation of self-governing workshops. The need for a market for the products of such shops led in 1832 to the formation of the National Equitable Labour Exchange, which applied the principle that labor is the source of all wealth. In 1832 Owen opened the National Equitable Labour Exchange system, a time-based currency in which the exchange of goods was effected by means of labor notes; this system superseded the usual means of exchange and middlemen. The London exchange continued until 1833; a Birmingham branch operated for only a few months until July 1833. Owen also became involved in trade unionism. 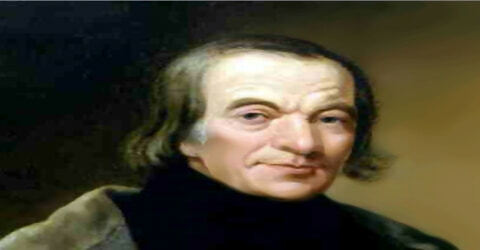 He briefly served as the leader of the Grand National Consolidated Trade Union (GNCTU) before its collapse in 1834. Although the enthusiasm of the unions and the numbers of laborers joining them were remarkable, determined opposition by employers and severe repression by the government and courts ended the movement within a few months. It was two generations before socialism, first popularly discussed at this time, again influenced unionism. Throughout these years Owen’s community ideas maintained a hold, and ultimately they provided the basis for the worldwide consumers’ cooperative movement. Socialism first became current in British terminology in the discussions of the Association of all Classes of all Nations, which Owen formed in 1835 and served as its initial leader. Owen’s secular views also gained enough influence among the working classes to cause the Westminster Review to comment in 1839 that his principles were the actual creed of a great portion of them. However, by 1846, the only long-lasting result of Owen’s agitation for social change carried on through public meetings, pamphlets, periodicals, and occasional treatises, remained the co-operative movement, and for a time even that seemed to have utterly collapsed. 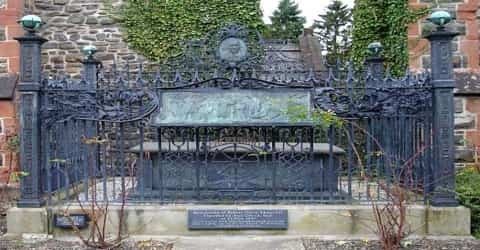 Although Robert Owen had spent the majority of his life in England and Scotland, Owen returned to his native village of Newtown at the end of his life. He died at Newtown on 17 November 1858 and was buried there on 21 November. With the exception of an annual income drawn from a trust established by his sons in 1844, Owen died penniless. Owen’s autobiography, The Life of Robert Owen, was published in two volumes in 1857–58 (reprinted 1971).